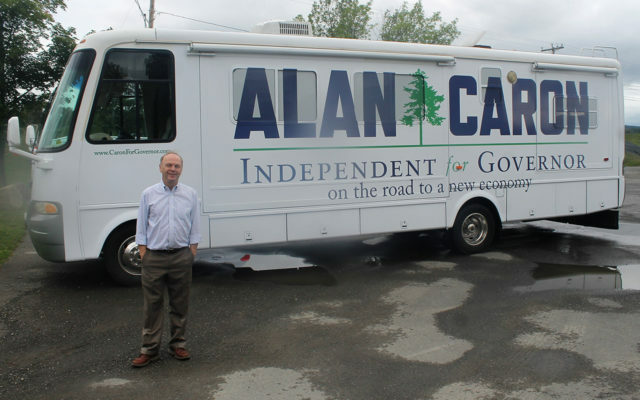 Independent candidate for the 2018 Maine governor’s race Alan Caron of Freeport launched a statewide campaign tour at the America’s First Mile monument in Fort Kent on Thursday morning. 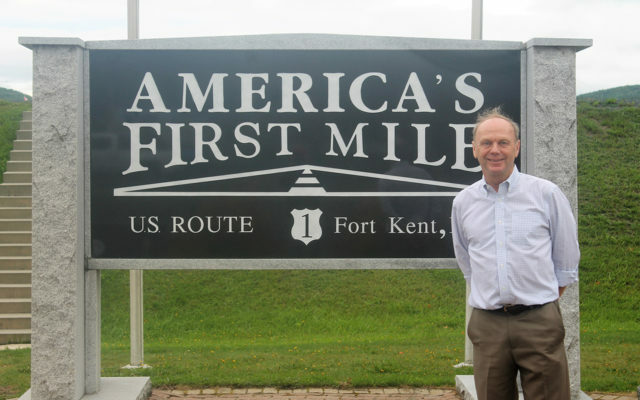 FORT KENT, Maine — Independent candidate for the 2018 Maine governor’s race Alan Caron of Freeport launched a statewide campaign tour at the America’s First Mile monument in Fort Kent on Thursday morning. “This is mile one; this is where it starts,” Caron said of beginning his tour from the First Mile monument. Originally from Waterville, Caron said he grew up in a family of mill workers and farmers and ran a small business of his own for 35 years, the strategic planning consulting firm, Caron Communications. “I know what Maine people have been going through,” he said. Caron said he first thought to run for governor last year when he became discouraged with the the current political environment. 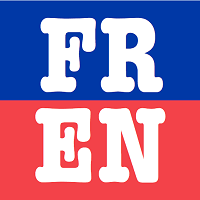 “I was sitting on the couch a year ago thinking that things are going the wrong way in the country and in the state. I thought, people like me need to get off the couch and do something,” he said. For more information about Caron or his tour schedule, visit his campaign website.